Like previous V-series phones, LG wasn’t too keen to launch the LG V30 it Europe. SIM-free has been available for a while now, but with little carrier involvement. That is about to change as the company announced plans to expand V30’s presence in partnership with several carriers. First is TIM Italy, which is already selling the flagship for €900 (no subsidies here). It also has exclusivity on the LG V30+ model (which has 128GB storage, up from 64GB). This one is €950. 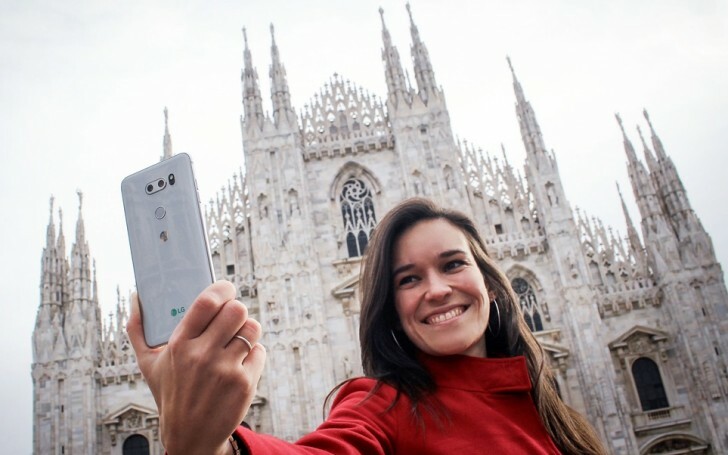 Vodafone Italy is also getting the V30, though we couldn’t find it on their site yet. Carphone Warehouse in the UK has been offering carrier deals for a while (including Vodafone), though the carriers themselves do not. Next up are Germany, Spain and Poland - they are getting the V30 by the end of the year. We don’t yet know the selection of carriers or the price (which tends to vary country to country). There's no word on other European markets either. Poor French we are... Waiting for it. And of course whit triple overprice, i more interested in A5 because LG will be dead fast.